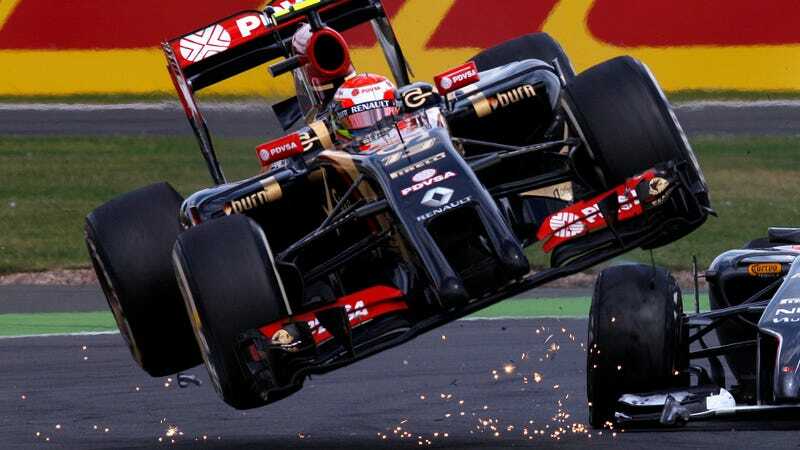 Pastor Maldonado, the most loathed and disrespected driver in Formula 1, is gone. What’s funny is who is replacing him. Young failure Kevin Magnussen will take Maldonado’s seat at Renault (formerly Lotus) for the 2016 season. This cracks me up because Maldonado was hated not just for crashing into people all the time, but because he always seemed to have significantly more money than talent. He was backed by the oil-filled government of Venezuela and Hugo Chavez and no matter how many times Maldonado crashed, he always had a near-broke F1 team who needed his sponsorship money more than they needed a quality driver. It’s unclear why Maldonado is gone. Did Kevin Magnussen (who got booted from McLaren via email on his birthday no less) get the job because he is an amazing driver? Is it because his dad used to drive in Formula 1? Did he win the spot because he has more money? Or was it all because Maldonado’s Venezuelan cash flow dried up? There’s likely elements of truth in all of it.